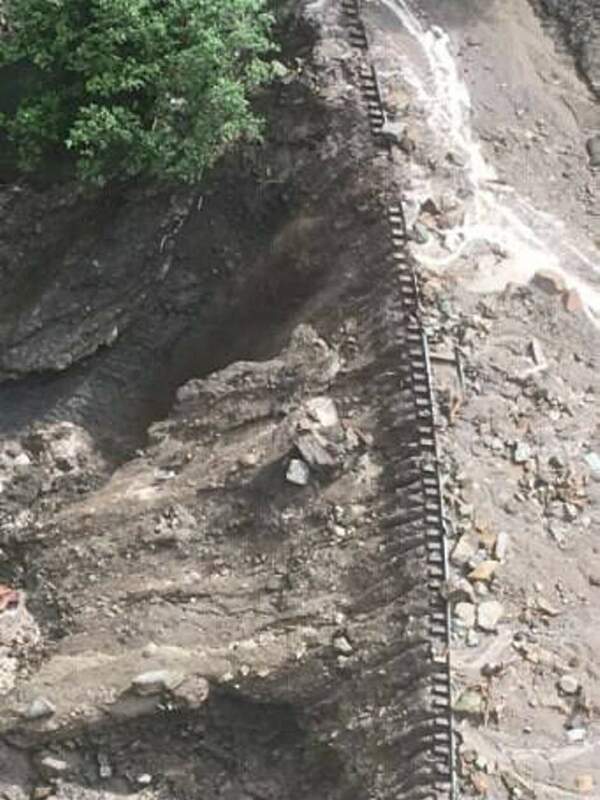 The Durango & Silverton Narrow Gauge Railroad’s train tracks north of Hermosa were severely damaged Tuesday from rockslides and mudslides. The train’s owner said it will take about four weeks to repair the tracks. 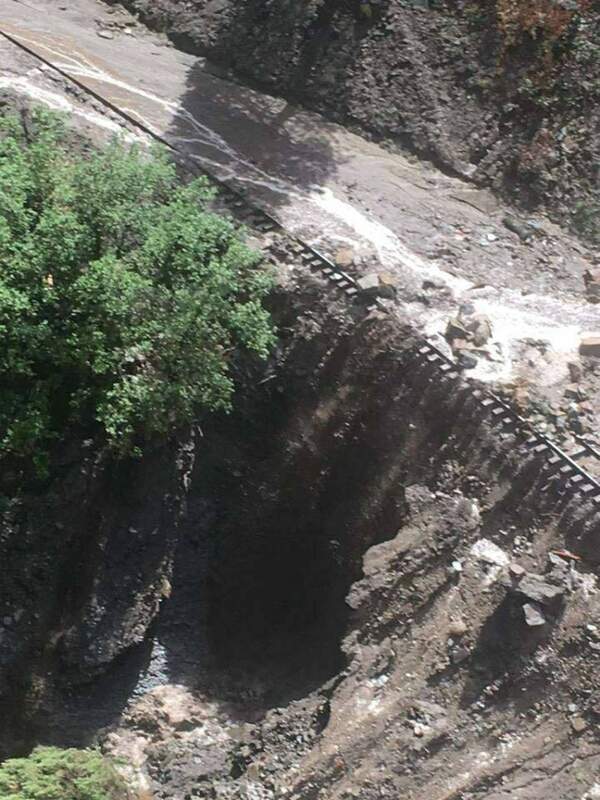 The Durango & Silverton Narrow Gauge Railroad’s train tracks north of Hermosa were severely damaged Tuesday from rockslides and mudslides. The train’s owner said it will take four to six weeks to repair the tracks. The Durango & Silverton Narrow Gauge Railroad will resume service to Silverton on Saturday with a modified route. 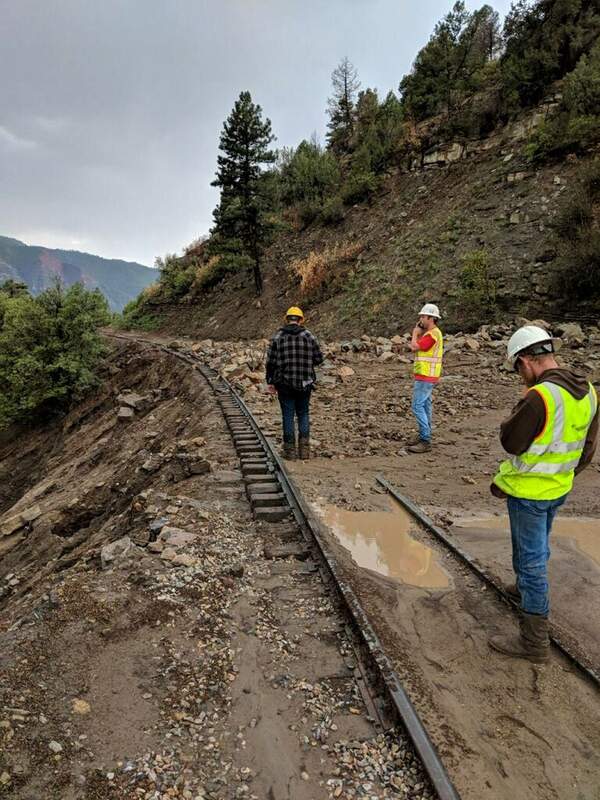 Because of damage to tracks caused by Tuesday’s mudslide, passengers will depart from the Rockwood Station north of Durango. The railroad will bus passengers from the depot to Rockwood, where they will get on the train to Silverton. The railroad intends to follow this plan until at least Aug. 15. Damage to the tracks will likely take four to six weeks to repair, railroad owner Al Harper told The Durango Herald on Thursday. In one location, crews might have to build a 50-foot retaining wall. “This is the worst incident we’ve had happen to the railroad since 1970, when we lost 13 miles of track to a flood,” Harper said. 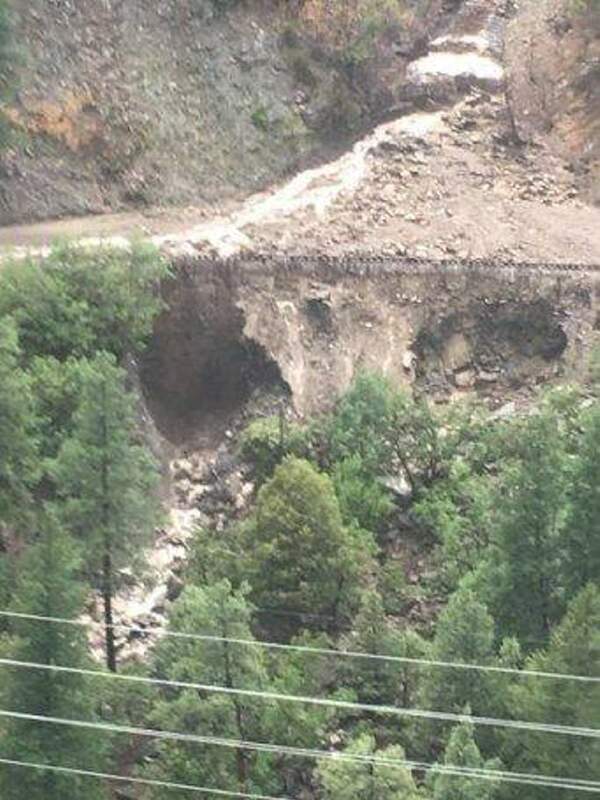 On Tuesday’s return trip to Durango, about 800 passengers were stranded at the Rockwood station by the mudslides. During the first mudslides on July 17, passengers returning from Silverton had to hike to the highway to buses after the train was forced to stop at Shalona Hill. Four steam locomotives and two diesel locomotives are still stuck at Rockwood, Harper said. Crews will use vans to transport coal and other equipment required for the train to the Rockwood station, Harper said. 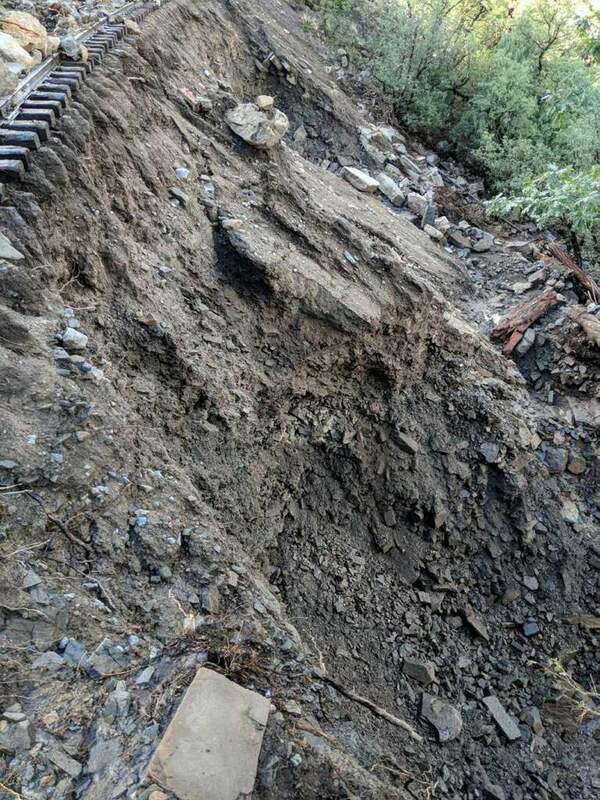 The latest modification is but one in a series of changes the train has had to make after the monsoon rains triggered debris flows and flooding from the 416 Fire burn scar. The train service was originally suspended for 41 days during the 416 Fire and La Plata County’s Stage 3 fire restrictions, which ban coal-fired engines.